Entering the Castle at Edgehill you will step back in time, into a beautiful historic 15th Century Castle steeped in history with stunning views across the Warwickshire countryside at one of the most beautiful wedding venues in Banbury. Here we offer you something a bit different for your big day. 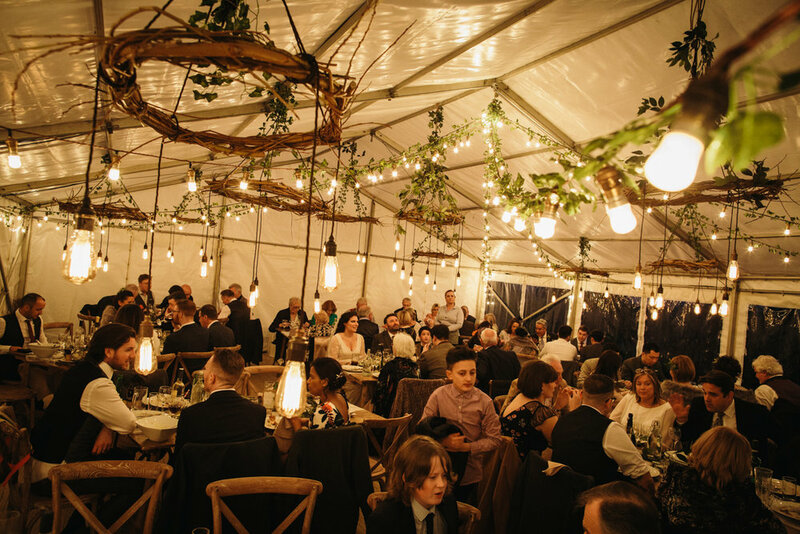 Whether you are following the traditional route and wishing to enjoy a sit down meal or have an idea in mind that is less conventional, we cater for all tastes and party sizes – traditional and unconventional, large and small. It’s your BIG day and we do it your way! You can be sure that Castle at Edgehill has the expertise and creativity to make the most important day of your life even more special. On your special day all of our staff at the Castle at Edgehill will go out of their way to put you at the centre of our world whilst you and your guests are staying with us. You can be confident that we will always be on hand to ensure that both you and your guests are well looked after and no request, no matter how small will go unanswered. Whilst you are staying at the Castle at Edgehill you can consider it your home and we want you to feel as relaxed as possible. 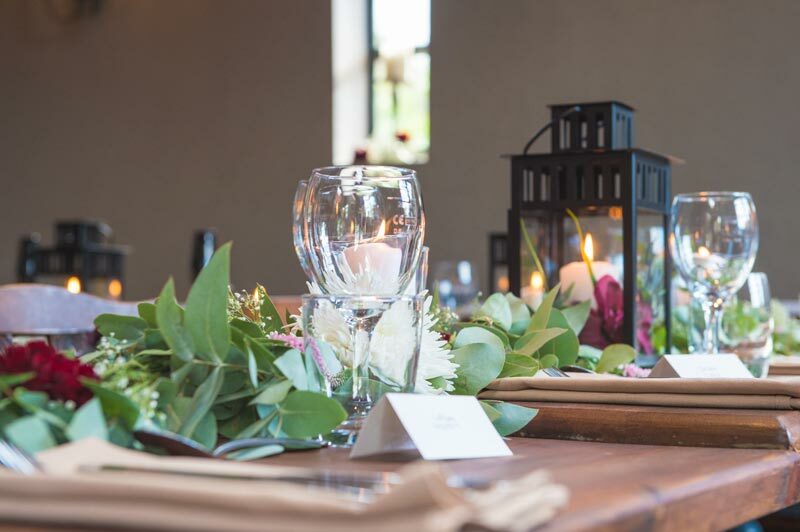 Enjoy the idyllic views across Warwickshire, perched upon the summit of Edgehill, with the battlefields of the famous Battle of Edgehill descending below, it is one of the finest places to hold your wedding reception at this breathtaking wedding venue in Banbury. The Castle at Edgehill boasts three beautiful guest rooms, each with their own individual character and little touches that set's each room apart. For the bride and groom we can offer a stunning and unique master bedroom situated at the top of The Castle Tower with unparalleled views across the historic battle of Edgehill and surrounding landscape. Our tower rooms of both have a 4 poster bed, we have a family room & a ground floor room, all with egyptian cotton and luxury coffee, tea and biscuits. We can cater for every moment of your special day from greeting your guests with a glass of champagne and divine canapes to serving up a delicious banquet. We are passionate about taking care of all your catering needs, and more if required, so you don’t have to worry about a single detail. We also appreciate that as well as being one of the most special days of your life that a wedding can also be one of the most costly. That’s why we offer three exclusive packages to cater for a variety of wedding packages to suit without compromising the little luxuries that will make your wedding truly unforgettable. Whatever your plans and ideas for your big day we pride ourselves on being one of the best wedding venues in Banbury with stunning countryside views. Your wedding night should feel really special, and at The Castle, we offer a truly unique and spectacular bridal suite for you. Located in the Tower our bridal suite Prince Rupert, you can enjoy the stunning views from your four poster bed…. you’re sure to experience a wedding night to remember! Not forgetting your very important guests, we also offer 3 beautiful ensuite bedrooms for them to enjoy after your wedding day. Choose from our either Kings, Astley or Verney and be confident in ensuring a restful nights sleep for your guests after the party has ended. Breakfast at The Castle is a real treat, with locally sourced fresh ingredients we offer a hearty full English breakfast or if you’re feeling slightly delicate from the night before we also have a lighter continental option with fresh fruits and juices and a selection of pastries. In summary, if you’re looking for that picture perfect, tranquil and unique setting in a Castle then we have the venue for you!